You spend a lot of time in your kitchen. The color of your cabinet can have a large effect on your mood and the amount of time you spend in there. Dark colors can make your kitchen feel smaller or seem like it gets less light. This isn’t a good thing. Your kitchen is one of the most important rooms in your home. It is a daily gathering place, used all day, every day. If you want a kitchen you can love, without breaking the bank, giving your cabinets a facelift with a fresh paint job can be the way to go. If you want the job done right the 1st time give us a call here at Kitchen Cabinet Painting Denver. Cabinet painting costs a fraction of the price of replacement. It’s important to have your cabinet paint job done by professionals though. 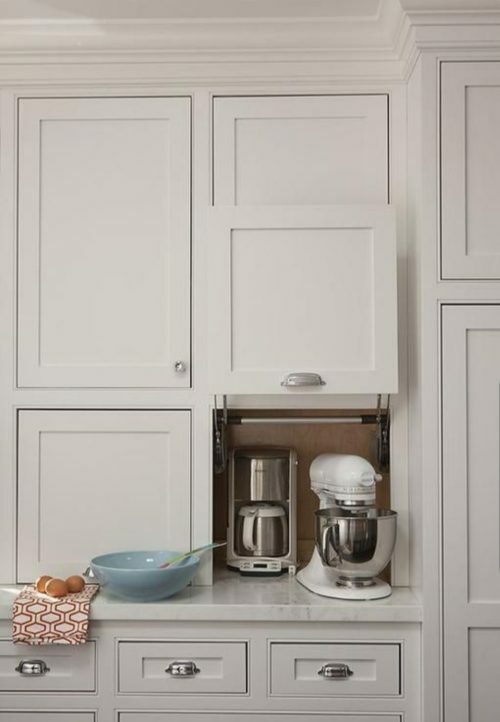 In a time where Pinterest DIY is king, homeowners don’t realize all of the potential issues with cabinet refinishing, and cabinet painting, their cabinets themselves. If your kitchen cabinet painting job is done wrong, it can cause thousands of extra dollars in damage. You might have to go through the process all over again! However, when done by professionals kitchen cabinet painters, and cabinet refinishing company, can be done right. Our professional Denver, cabinet painters, are experienced and have the know how to give you just what you need. If you don’t know what you are doing, cabinet painting can be time consuming and challenging. Without proper knowledge of the necessary materials or application, your expectations might not be met. Nothing is more disappointing then having an image in your head and ending up with something completely different. For example, simply slapping a coat of paint on wood cabinets may be easy and look good at first, but once it dries the cabinets won’t be smooth. Prep is an important step that can very easily be missed out on. You must prep the cabinets. Doors and drawers must be removed. Once removed, pieces must be labelled correctly so they can be put back in the right place. Wear and tear will begin to show almost immediately And if not properly done in each stage correctly, paint failure is inevitable. The cabinets, drawers and all the pieces must be cleaned thoroughly to hold the paint. Grease and dirt can be a barrier and prevent the paint from adhering to your surface. The preparation process is lengthy. This is another issue that occurs with DIY cabinet painting. Homeowners might get frustrated about the time required for the project. It may seem like a weekend job but once you factor in the prep time, it easily becomes a week long job. When painting your kitchen cabinets, impatience is your biggest enemy. Painting kitchen cabinets is a process that requires great attention to detail. The first stage of cabinet painting is the prep. This is arguably the most important step. Prep ensures that the paint goes on smooth and that it will last. The kitchen must be cleared, and all of the drawers and cabinets we only need 2 inches away from the door area. These are numbered to ensure they are returned to the correct place. The cabinets are taped off and everything else carefully covered so as to not get paint everywhere else. The kitchen of your home is the work area of your home. Cooking and eating means that you are constantly touching your cabinets, opening and closing them. Your cabinets and drawers are covered in grease and food splatters. Cleaning it all off is done with a dirt and grease remover. Holes must be filled for the cabinets to be sanded. After the cabinets are primed, they can be painted. Every surface is painted evenly with light coats so that it doesn’t drip. Multiple coats are applied for a high quality paint job. After they are dried, they’re put back where they came from and you have a new kitchen! We know everything there is to know about your painting your cabinets. With years of experience, our jobs speak for themselves. High quality paint jobs are what we pride ourselves on. With our Denver kitchen cabinet painting team, your stress is eliminated! There is no need to spend hours poring over DIY articles. You won’t have to worry about the time required for the job or the downfalls of DIY cabinets. You also won’t have to worry about purchasing the many tools necessary for the job because we already have them. Dedicated to you and your cabinets, we take the time necessary to do the job right. Prep is given as much attention as the paint job itself to ensure that your job lasts. We are fully licensed and insured. This means that we can take care of any issues that occur on our end, rather than you spending endless money to fix a DIY gone wrong. To see more kitchen cabinet painting in denver, tips Click on the link below . ← Kitchen cabinet painting in Denver co.